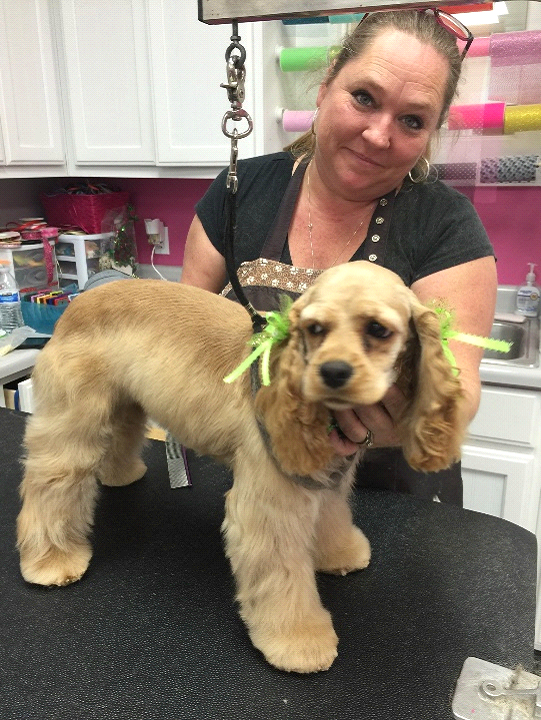 Lisa Novak is the Head Groomer at Onion Creek Kennels, with over thirty years experience grooming both dogs and cats. Lisa provides almost-daily examples of her work on our website and social media feeds. Lisa loves her work and it shines through in both the final results and her great relationships with pets and owners alike. Lisa takes great pride in her work and treats pets in her care as if they are her own; she’s adept with special needs pets, such as puppies getting used to the handling and noises of the grooming process, to elder dogs that may not be able to stand comfortably for as long. We can also provide hair coloring on ears and tails, if requested.